I would love to see you at a special conference we will be ministering at in Barnsley, South Yorkshire at St George's Church Of England. 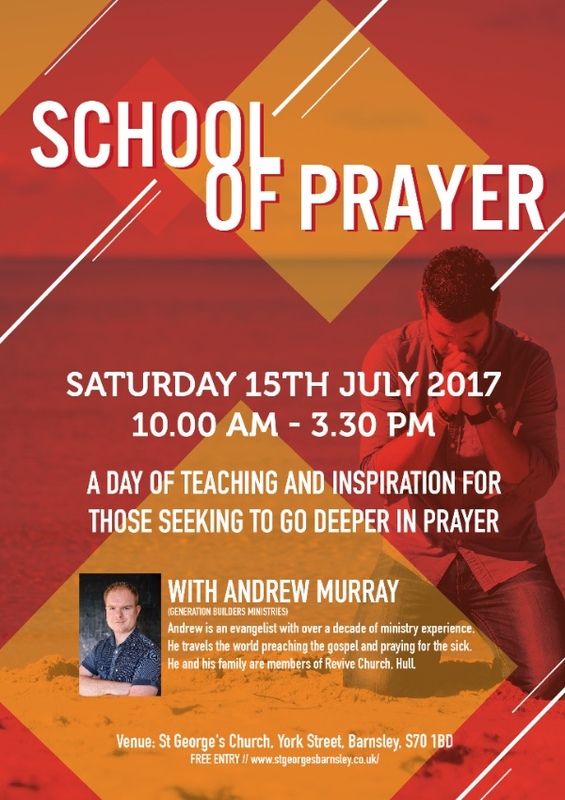 On Saturday 15th July we will be having a special day where I will be teaching on prayer and intercession. This is a great opportunity to come and go deeper in these areas. In the evening we will be holding a special healing event where I will be preaching the gospel and praying for the sick. COULD YOU GIVE AN HOUR TO HELP?